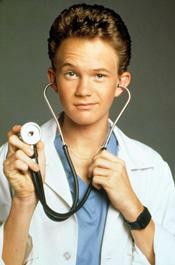 JANUARY 16--A teenage boy wearing a white lab coat and carrying a stethoscope masqueraded as a doctor at a Florida hospital for a month until his Doogie Howser act was derailed this week, cops say. 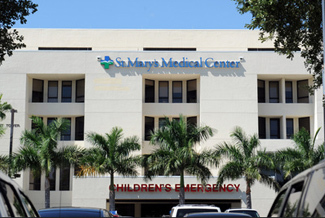 The 17-year-old, whose name was redacted from a West Palm Beach Police Department report, was confronted Tuesday afternoon by officers at St. Mary's Medical Center, where the juvenile introduced himself as a doctor. The phony physician’s gambit unraveled after a patient alerted OB/GYN staffers that “a young black male who appeared to be a child was dressed as a doctor” and was inside a nearby examination room, police noted. The boy was outfitted in a white lab coat bearing the St. Mary’s logo (the word "anesthesiology" was embroidered on the garment’s front side). 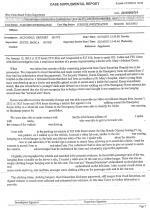 The imposter also "had a stethoscope around his neck and a face mask," according to the report. 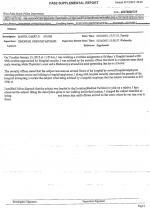 Hospital workers told police that the teenager was inside an exam room while an actual doctor, Sebastian Kent, conducted a patient examination. As first reported by the Sun Sentinel, the teenager’s mother told police that her son is "under the care of a doctor" and refuses to take prescribed medicine. Cops and hospital officials declined to pursue charges against the boy, who was detained by officers as he sought to leave the medical facility. 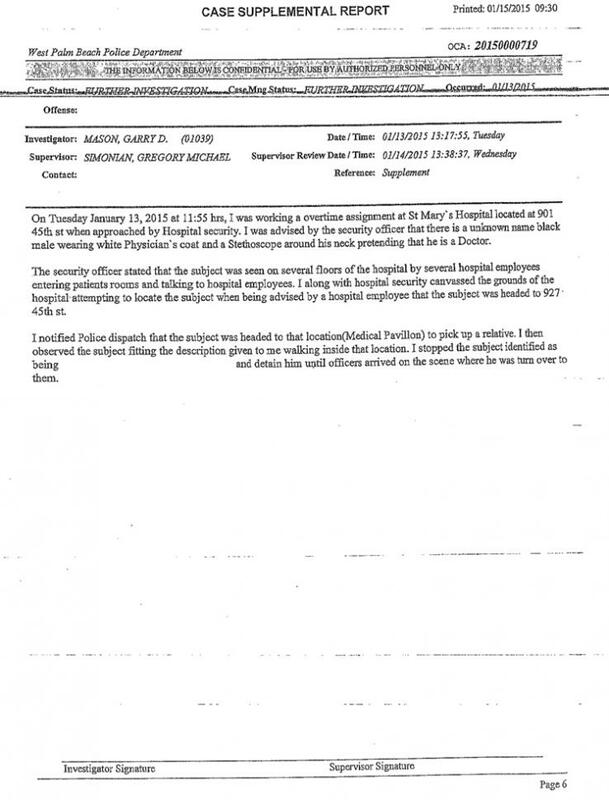 As detailed in the police report, cops spoke to security guard Christian D'Amato, who said the teenager "is known around the hospital as a 'doctor,'" and had been "seen on several floors of the hospital by several hospital employees entering patients rooms and talking to hospital employees." But D'Amato apparently never questioned whether the minor was, in fact, an actual medical professional. Police reported that "multiple" witnesses said they had spotted the teenager "walking around the hospital for approximately one month pretending to be a doctor." 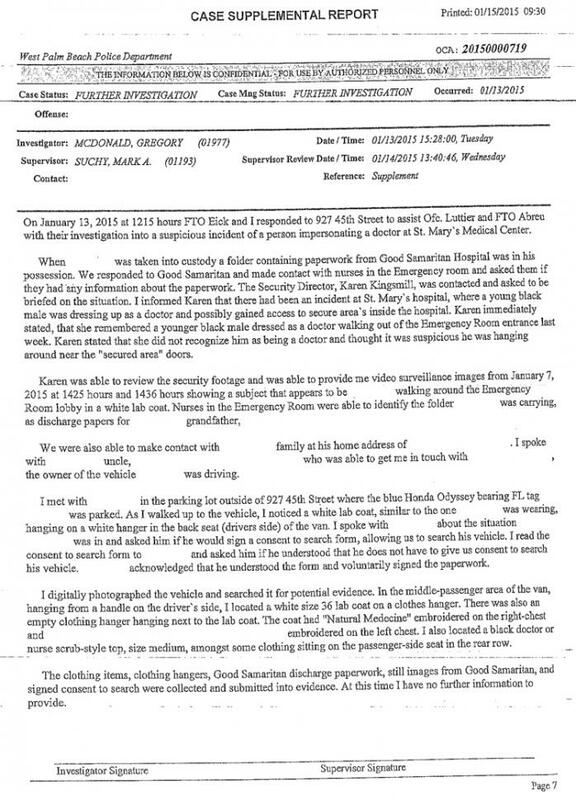 Kent, 63, said that he had never previously seen the juvenile at the St. Mary’s outpatient facility. 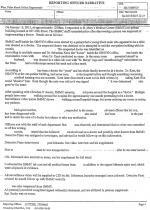 But the doctor subsequently approached cops to report that he had located a note on his desk from the boy, who asked whether he could “shadow” the physician on his rounds. Despite witness accounts, a St. Mary's spokesperson denied that the underage impersonator had contact with patients or gained access to restricted medical care areas. Cops also spoke to officials at a second West Palm Beach hospital, the Good Samaritan Medical Center. 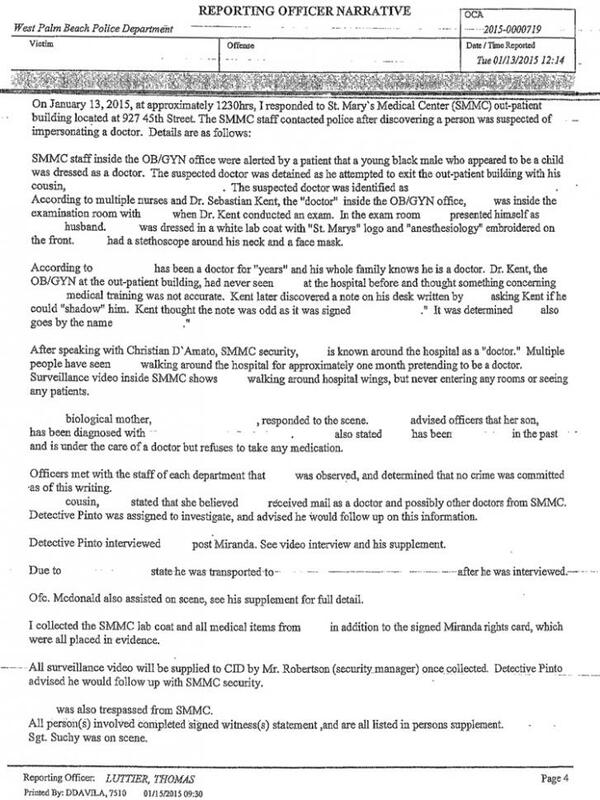 The hospital’s security director, Karen Kingsmill, recounted spotting a “younger black male dressed as a doctor walking out of the Emergency Room entrance last week.” Kingsmill added that she “did not recognize him as being a doctor and thought it was suspicious he was hanging around near the ‘secured area’ doors.” A review of security footage revealed the suspect “walking around the Emergency Room lobby in a white lab coat” on January 7.